The symptoms related to season tick-born illnesses may vary from person to person, but all may have the ability to lower your quality of life and interrupt daily living. If you've been searching for a way to get all-natural relief, DesBio offers a great product option. 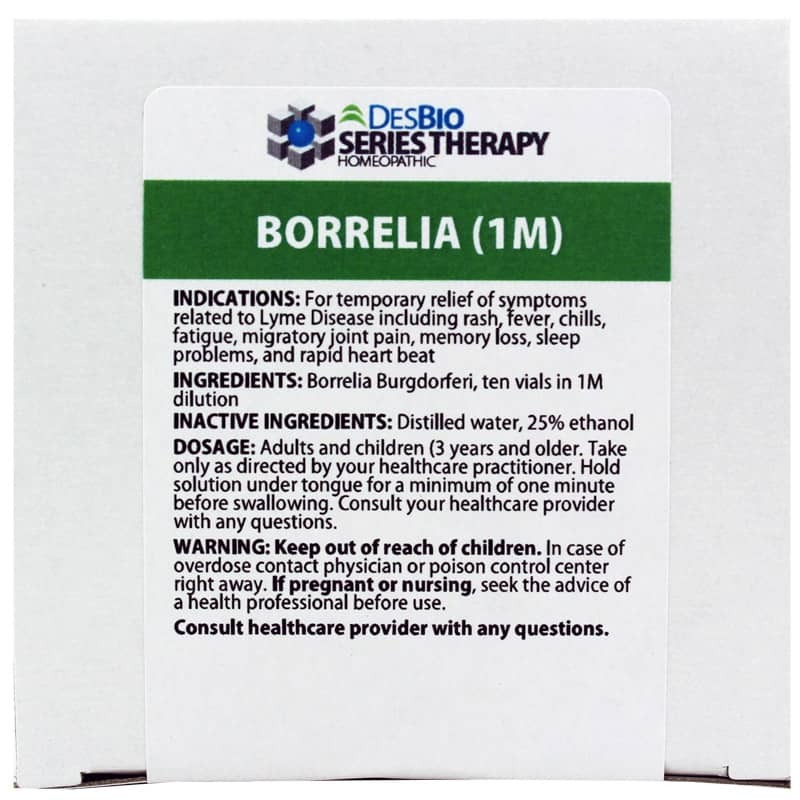 Borrelia 1M is a homeopathic product from DesBio Series Therapy that delivers all-natural health support in 10 individual vials to help provides temporary relief from tick-born illness symptoms. DesBio's Borrelia 1M should always be held underneath your tongue for at least one whole minute before swallowing. Questions should be directed to your healthcare provider. Find relief from your symptoms and feel better. Give Borellia 1M a try today, and see the difference it may be able to make in your overall health. Order now! Adults and children 3 years and older: Take only as directed by your healthcare practitioner. Hold solution under tongue for a minimum of one minute before swallowing. Consult your healthcare provider with any questions.